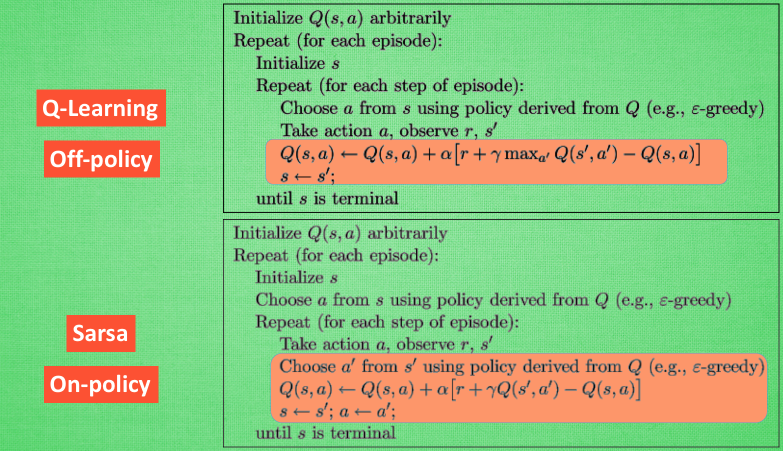 This means that SARSA takes into account the control policy by which the agent is moving, and incorporates that into its update of action values, where Q-learning simply assumes that an optimal policy is being followed. 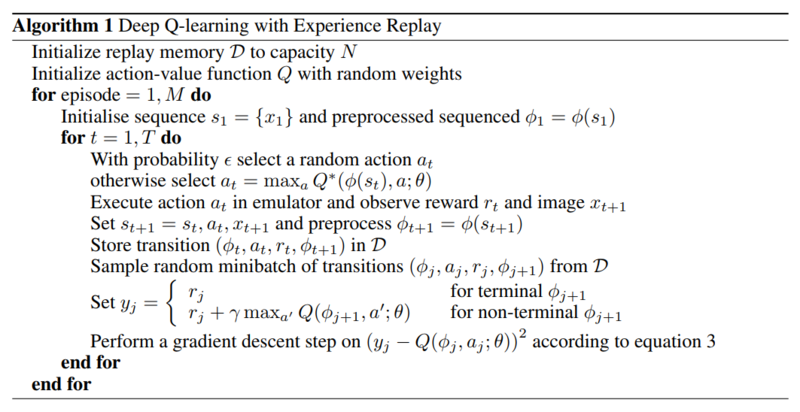 If your goal is to train an optimal agent in simulation, or in a low-cost and fast-iterating environment, then Q-learning is a good choice, due to the first point (learning optimal policy directly). If your agent learns online, and you care about rewards gained whilst learning, then SARSA may be a better choice. 上面提到的 DQN 是最原始的的网络，后面Deepmind 对其进行了多种改进，比如说 Nature DQN 增加了一种新机制 separate Target Network，就是计算上图的$y_j$ 的时候不采用网络 $Q$, 而是采用另外一个网络(也就是 Target Network) $Q’$, 原因是上面计算 $y_j$ 和 Q 估计都采用相同的网络 $Q$，这样使得Q大的样本，y也会大，这样模型震荡和发散可能性变大，其原因其实还是两者的关联性较大。而采用另外一个独立的网络使得训练震荡发散可能性降低，更加稳定。一般 $Q’$ 会直接采用旧的 $Q$, 比如说 10 个 epoch 前的 $Q$.